For over 1,000 years, irrigation ditches helped sustain Verde Valley agriculture. The earliest operating ditch in the Valley dates from around 1200 A.D. and is still used by the U.S. Forest Service and several private parties. 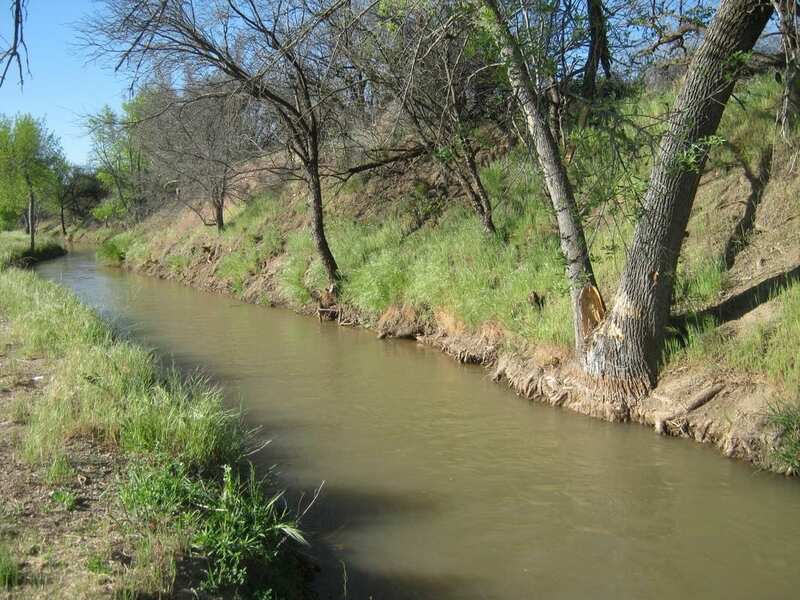 However, evidence of earlier ditches has been uncovered along the course of the Verde River and some of its tributaries. More recent settlers constructed the irrigation ditches that currently provide Camp Verde residents with water for farm fields, orchards, and lawns. This network of ditches, drawing from the Verde River and its tributaries, dates from the late nineteenth and early twentieth centuries. 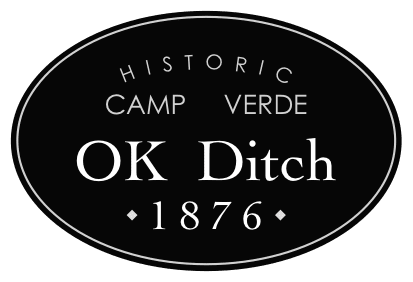 The oldest operational ditch built by white settlers in the Verde Valley is Camp Verde’s Pioneer Ditch, constructed along with the Wingfield #4 Ditch in 1865. Today, many of Camp Verde’s ditches are operated by associations, which are usually incorporated irrigation cooperatives. Some ditches, however, are controlled by informal family agreements. In order to draw water from an irrigation ditch, one must purchase property with an attached water right and is served by a ditch.  Homeowners of such property usually pay yearly dues to the association, which in turn is responsible for maintaining and improving the ditch. 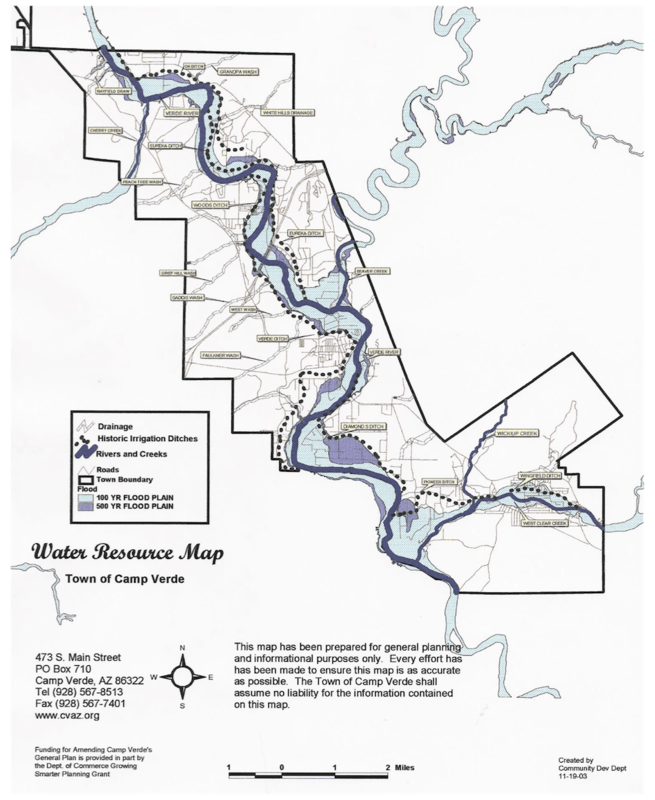 The following information is compiled from “Irrigation on the Upper Verde River Watershed from Surface Water,” a report published in 1940 by T.A. Hayden. 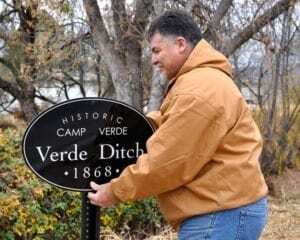 Look for signs marking the historic Diamond S, Eureka, OK, Pioneer and Verde ditches as you travel through Camp Verde! The Diamond S Ditch, historically known as the Eaman Ditch, first supplied water to land owned by the Haywood Cattle Co. of Aurora, Illinois, managed by C.B. “Eman.” On July 21, 1892, W.S. Head, Thomas J. Eaman, and Chas B. Eaman claimed “3,000 M.I. [miner’s inches] from the Verde River” to water what was known as ‘the Jordan Flat.’ In his 1940 report, T.A. 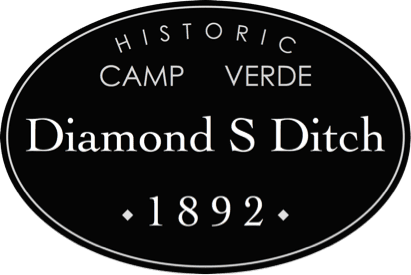 Hayden notes that the Diamond S provides water to lands previously irrigated by Clear Creek via the Pioneer Ditch, one of the oldest in the Verde Valley. 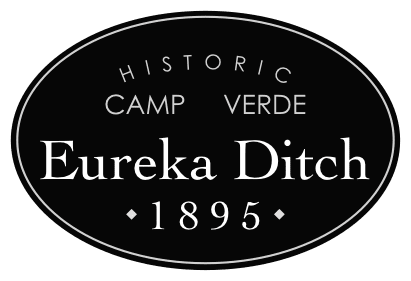 The Eureka is the newest of the four major ditches in the Camp Verde area that draw water from the Verde River. Settlers began construction on the ditch in 1895 to service six farms located on the former Fort Verde Military Reservation. Today it provides water to over 200 individual property owners, including land in the Pecan Lane Rural Historic Landscape along Montezuma Castle Highway. 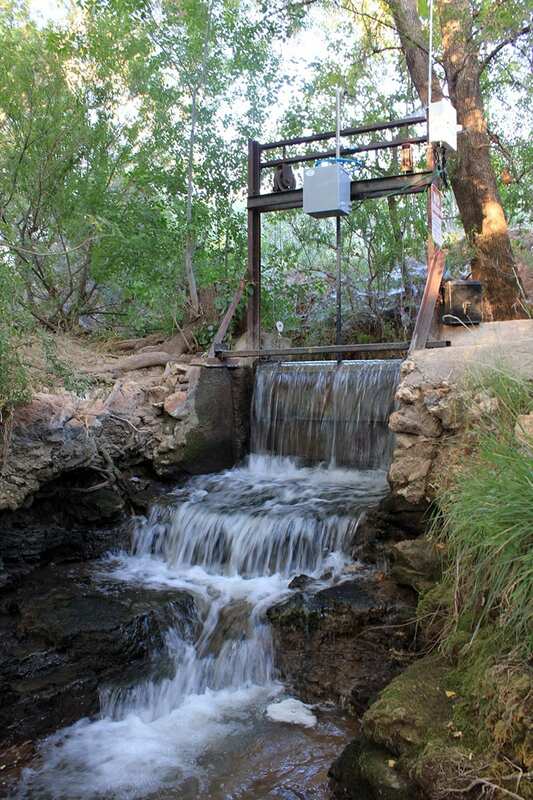 The Eureka Ditch Association works in cooperation with the Diamond S and Verde ditches to improve the efficiency of the water delivery system in an effort to reduce demands on the Verde River and to improve the health of the riparian corridor. 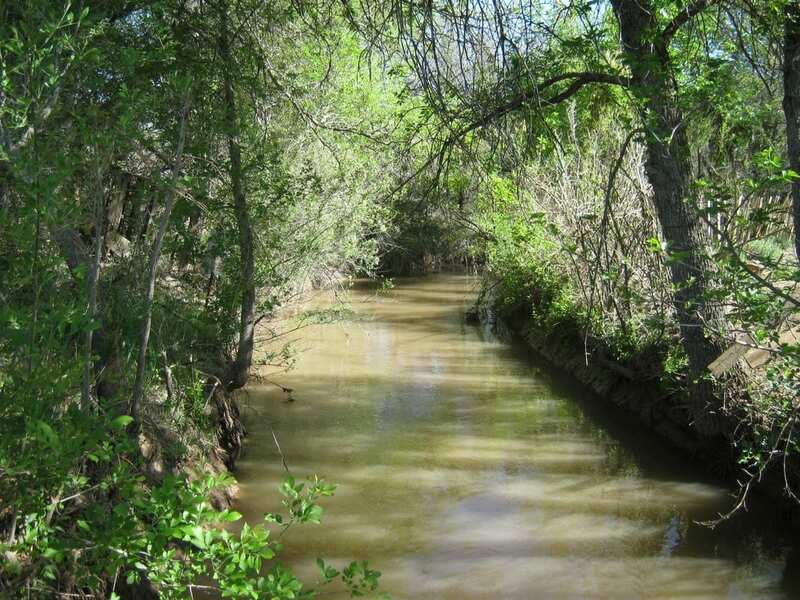 The OK Ditch is one of the oldest operational irrigation ditches in the Verde Valley. P.W. Burford, a settler who homesteaded the nearby land in 1875, began construction on the ditch in 1876 to water agricultural lands in the Middle Verde area on the east side of the Verde River. In the early twentieth century, as the Yavapai and Apache peoples began to reestablish their homeland in the Verde Valley, the OK Ditch provided water to 450 acres of their farmland. Land that today comprises the Middle Verde Reservation of the Yavapai-Apache Nation. Begun in 1865, the Pioneer Ditch is the oldest ditch in the Verde Valley built by white settlers.  Historically known as the “Melvin Ditch,” the Pioneer predates the establishment of Camp Lincoln, the predecessor of Fort Verde. 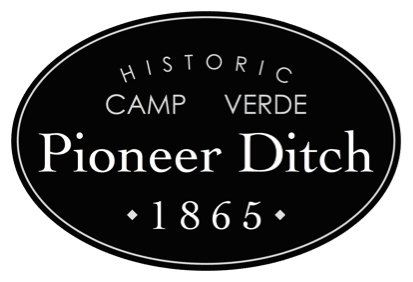 Instead of drawing water from the Verde River as the majority of Camp Verde’s ditches do, the Pioneer draws from West Clear Creek. This area contained hayfields, vegetable gardens, and orchards of some of the Verde Valley’s earliest agricultural areas established by white settlers. Some of the land originally serviced by the Pioneer transitioned to the Diamond S or ‘Eaman’ Ditch after the construction of that ditch in 1892. 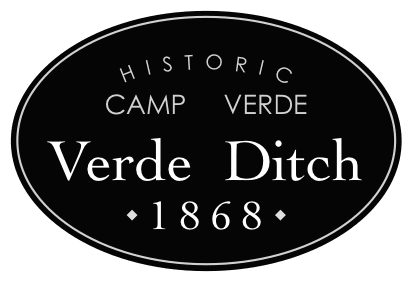 As with many of Camp Verde’s historic irrigation ditches, the Verde Ditch has had several names throughout its history. In T.A. Hayden’s report, he notes that the Verde Ditch was previously called the Wood (or Woods) Ditch, and occasionally was known as the Lower Verde Canal. Initially dug in the late 1860s, a group of men led by settler John Wood began to extend the existing irrigation ditch in 1871. On March 30, 1891, Wood joined with John Davis and James Brown to file the first claim on the Verde Ditch. The men noted that the ‘Verde Irrigation Canal’ was located about “100 yards north of Fort Verde Reservation and about 400 yards above the Gaddis land.” They also gave notice of their intention to continue to enlarge the ‘Canal.’ Stretching almost 18 miles and serving approximately 650 users, the Verde Ditch is the longest and most extensive irrigation canal in the Verde Valley.